Gaborone - Botswana’s accounting regulator said it is closely following a lawsuit in which KPMG local unit is being sued by the liquidator of a failed bank. KPMG Botswana is accused of signing off the financial statements of Kingdom Bank of Africa Limited (KBAL) as a going concern even though the lender’s liabilities exceeded its assets as far back as 2011 before its liquidation in February 2015, according to court filings. In its response, the auditing firm said KBAL was solvent at the end of 2013 and had enough reserves to last another 12 months while it underwent a reorganization. The Botswana Accountancy Oversight Authority became aware of the court case through media reports and is monitoring developments, Ndulamo Ntopo, a spokesperson for the regulator, said in a faxed response to questions on Thursday. The authority hasn’t received any complaints regarding KPMG Botswana’s conduct, she said. KPMG acted negligently by failing to report the true situation of KBAL’s financial position to either the lender’s management or to the Bank of Botswana, John Little, KBAL’s liquidator, said in court papers. Had the numbers been properly stated, the lender’s collapse could’ve been avoided, he said. Little is representing a group of depositors who are suing the accounting firm for $18.2m (R249m). KPMG had disclosed issues around the bank’s ability to continue as a going concern and its restructuring in the 2013 financial statements, Nigel Dixon-Warren, a senior partner at KPMG in Gaborone, said in an emailed statement. It unraveled when KBAL’s board failed to find new investors, resulting in the lender being placed into administration, he said. “KPMG is robustly defending this claim,” Dixon-Warren said. The case will be heard before Justice Godfrey Radijeng on November 22. 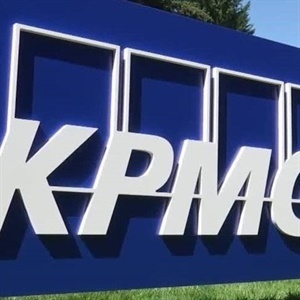 The Botswana matter comes as KPMG’s South African unit comes under increased scrutiny for the work it did for the SA Revenue Service and companies linked to the Gupta family. Eight SA executive quit last month after an internal investigation, while the auditing firm still faces an independent probe as well as inquiries from the nation’s regulatory body for auditors and the South African Institute of Chartered Accountants. The Botswana and South African businesses are separate legal entities, Ntopo said.